Fall Athletes: Come in to the office to drop forms off and pay the $75 activity fee before their first event. The office is open 7:45am-5pm, Monday-Thursday during the summer, but starting July 28, academic year hours of 7am-3:30pm, Monday-Friday begin. Turn in your forms and payment to get your green slip, which players need to give their coaches on the first day of tryouts in order to participate. If players try to just hand coaches their medical forms (which must be completed by a health professional), the coaches will send them down to wait in a long line in the office to get their pink slips and it can be really stressful for freshman trying out for a high school team for the first time. 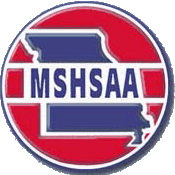 For the 2014-15 school year, the district is collecting a $75 activity fee for all high school students participating in a Missouri State High School Activities Association (MSHSAA) sport or activity. The purpose of the fee is to help offset the costs of these activities. Ladue's activities that participate in MSHSAA competitions are: all MSHSAA sports teams, speech and debate, scholar bowl, and MSHSAA sponsored instrumental & vocal events. Students will be required to pay the fee before participating in a competition. Once the student has attended one game or activity as a participant, the fee will not be refunded if the student does not complete the season. A student is only responsible for one fee per year, regardless of how many sports or activities in which the student participates. There is a $150 cap per year for each family if there are multiple siblings participating in activities. The fee will be waived upon request for students receiving free or reduced school meals. The fee will be collected through the High School Activities Office.